The longest distance I have ever ridden was from Ngong road to Karen and back, during the last road test at inked. 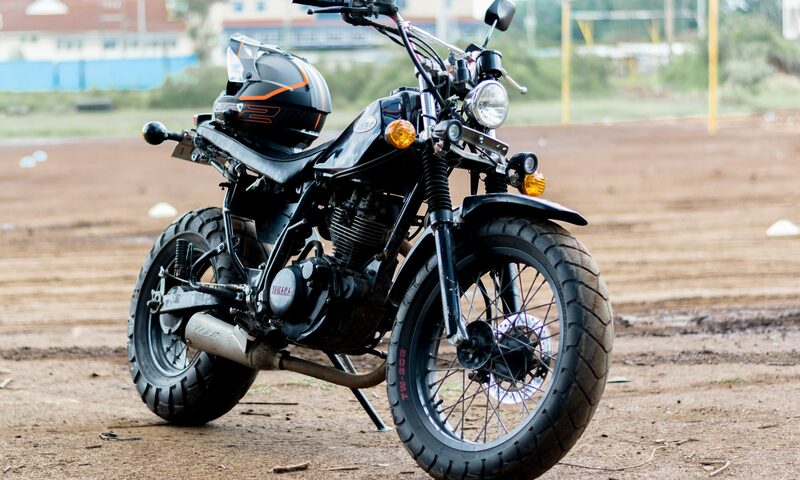 After that I heard there was a ride to Kajiado and I thought, PDL check, just the bike and I’m good to go! Until nikapewa msomo of msomos by the one and only Malibu which scared me to the bones mpaka nikasahau story ya kuride na hivyo ndivyo PDL ili expire. I ended up going for the Kajiado ride anyway but as a pillion. First thing that I noticed is how the ride was planned. The group leader was briefing the group on the ride, and I was like, why the briefing? Then she said she will lead and pointed to someone else who was the sweeper. I was like sweeper? Then it was time to go, and there was a moment given for everyone to gear up, and I was like obvious much? Then she said they would be riding at an average of 100kph if everyone was comfortable with that, that’s when I began to pay attention and thought to myself, see why you were not ready for the ride!!! Then we were off to the ride, and although I was a pillion, I was absolutely excited. We got to the roads and I began to see why the brief was important. Motorists were as excited as I was and you could see their distraction as the riders rode, and how essential it was to know who was leading, and who was sweeping. Needless to say we got to Kajiado with my backside on fire and swore I would never pillion again! (ended up being a pillion a couple of more times after that). Fast forward to the IFRD 2018 and this time I thought I would ride. I had borrowed a bike and was riding around Ngong-Kiserian and I was preparing for the IFRD ride, but about two weeks before the ride I realised I hadn’t broken into the bike for a long ride. When I heard the average kph at the IFRD briefing, I knew I had made the right choice to cage. While driving, we immediately felt the need to ‘protect’ our own after noticing other cars either getting too close to the bikers or moving too close to the outer lane leaving no room for a biker to overtake safely on the roads. I’m inclined to think that if all motorists thought like a biker I think there would be a lot less motor vehicle related accidents on the roads. *1* Synergy is everything. When a group rides together, they need to have one mind, and safety above everything. One of the things the leader said in the beginning of the latter ride is ‘don’t protect your formation at all costs’ meaning if a car wants to break the formation, allow them to break the formation rather than protecting the formation and increasing the risks of accidents. *2*. Everyone in the ride is a biker, whether caging or as a pillion. Same mental readiness is required, rules on substance intake apply to a pillion and a driver as well etc. *3*. It is important to let the leadership know what the prerequisite /requirements are if you want to participate in a group ride. Details like if that ride is your first ride, how many hours you have ridden, accident cover, full gear, and average speed you are comfortable with etc. So you might have acquired the necessary hours for the ride, but you are riding with a group of super bikers, and you join the ride midway not knowing they had agreed on average 120kph but the highest you have ever done is 70kph, which means that that may not be your ride, so you’d be better off re strategising and approaching the ride as an individual ride or drop off altogether from that particular ride. In my opinion, those two rides were very organised. One must be incredibly intelligent to plan and effect a successful group ride! What are your thoughts? The briefing moment was huge for me. I’m wondering what are some of the ways to have an effective group ride briefing? And what are some of the ways to prepare for a long ride either group ride or solo ride? Nahya Kuri is a biker, wife, mother as well as a Multi-talented musician and teacher of music.